Placing your supplied images into our standard template. ALL IMAGES MUST BE SUPPLIED PRINT-READY. PDF Proof. Free Ground Shipping (US48; 1-Commercial Location). Custom photo calendar with basic setup & PDF proof included! Create your own custom photo desk calendars! This 6-sheet, 12-month spiral desk tent calendar will feature 12 of your photos, your custom cover and bottom ad imprint on both sides. 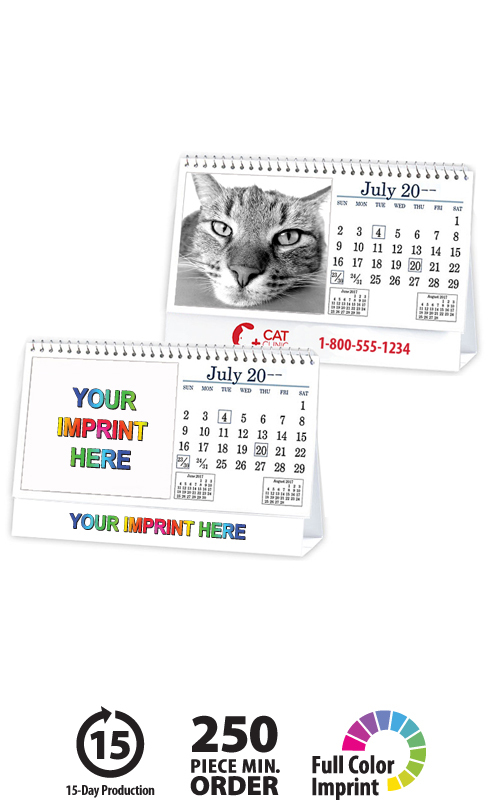 A very affordable and very personized promotional gift! 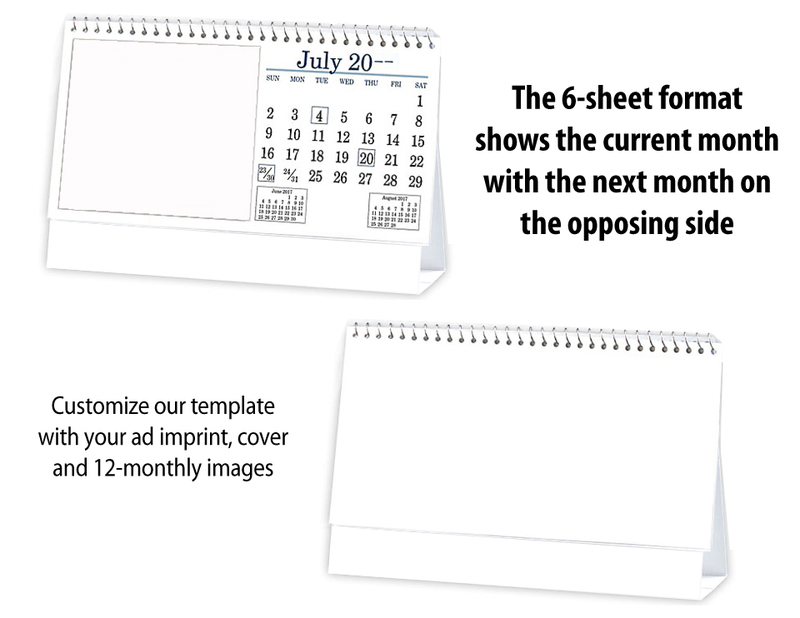 This high-quality custom 6-Sheet Desk Calendar will proudly display your message for the entire year!